It's a testimony to how times have changed, not only in football but in the Clasico, that Barcelona will be more than content with a 1-1 draw at home against Real Madrid in the first leg of their Copa del Rey semifinal. Right now it's not important while reading this column whether Los Blancos or the Cup holders go on to win this trophy. Albeit that will seem a matter of life and death, state and anarchy, when the result comes at the end of this month. What's a fact is that this was a clear litmus test of a few things. Both of these teams lust and I truly mean lust after winning the Champions League. There are different reasons. 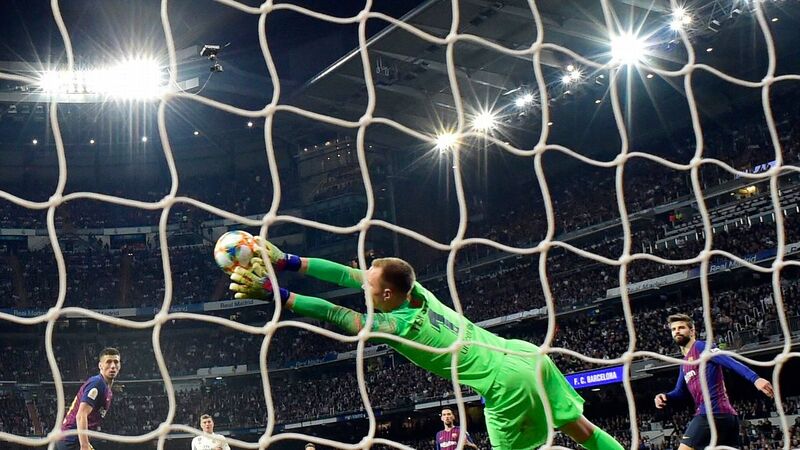 Madrid, having done the absolutely extraordinary in winning four of the last five European titles, want to move that marker to the word impossible by winning a fourth-straight Champions League. They shouldn't harbour hopes of La Liga and, frankly, their recent seasons suggest that however much they've improved, the national title is beyond them. We'll see. So, OK, with La Liga in huge doubt and Champions League football utterly vital, it's easy to argue that they should have come to the Camp Nou massively more hungry and aggressive than Barcelona. For them, the Copa is merely one more really good performance away and would add lustre to their Club World Cup win. 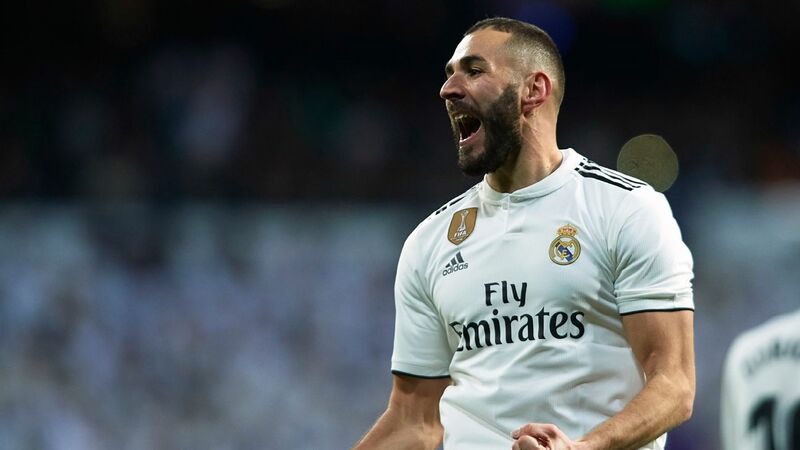 However, there's no question that Los Blancos still value eliminating Ajax in Europe and then beating Atletico in the Madrid derbi this Saturday far, far more than they value progression to the Copa final in May. For some, that could be vomit-inducing. For others, it'll be "Yeah, duh, of course." With the incremental growth in marketing power, financial returns and the need to dominate the tournaments which are popular internationally, the big clubs of the world have begun to treat winning cups like they were trinkets. League titles and Champions League crowns are the cut-diamonds. Thus while Madrid arrived at this eventual 1-1 draw in better form, with more energy, with more of their key players on the pitch.... the beauty of their first-half performance which was smart, confident and full of bristle -- they probably weren't broken-hearted when the home side relieved them of the ball in the second half and left the visitors defending. Sitting in and only breaking when it was opportune suited Madrid just fine. 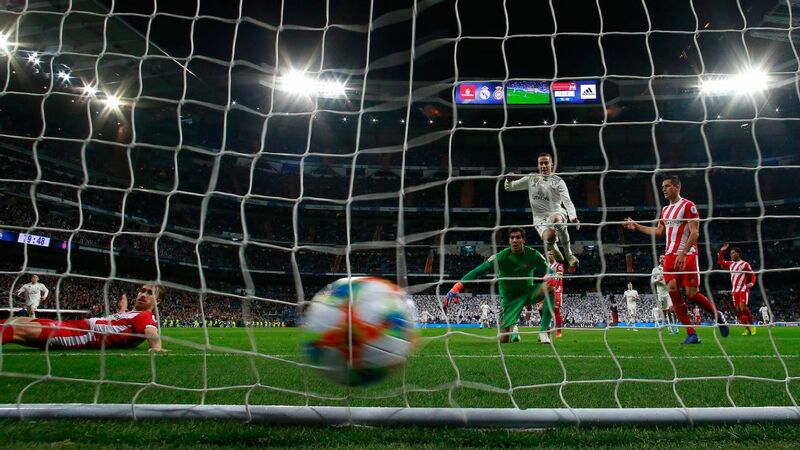 It's zero criticism or stain on Madrid's game-plan, since they probably genuinely believe, as they're entitled to, that they can win the second leg, that they are in with a big shout of winning another Champions League win and that they remain contenders for La Liga. 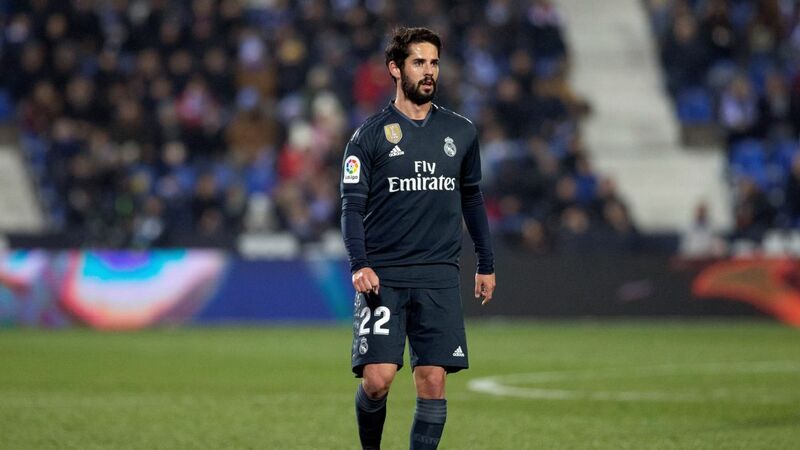 And thus, I think, we saw a performance at the Camp Nou which both undercut the importance of the occasion and the state of powerful form in which Santi Solari's side find themselves. For 45 minutes it's not as if they made fools of the Liga and Copa holders. 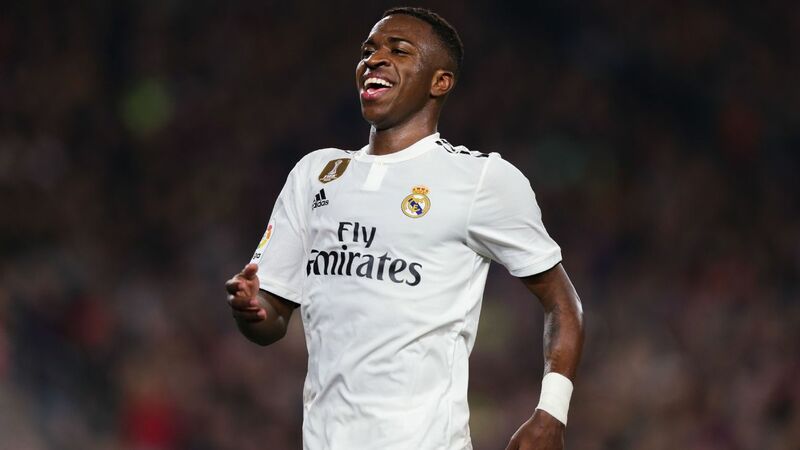 But the imposing Madrid were smarter, quicker, slicker and there was a stage, with Lionel Messi on the bench and Malcom the best blaugrana player on the pitch despite being someone that the coach would sell at the drop of a hat, when Solari's side could have sealed this. 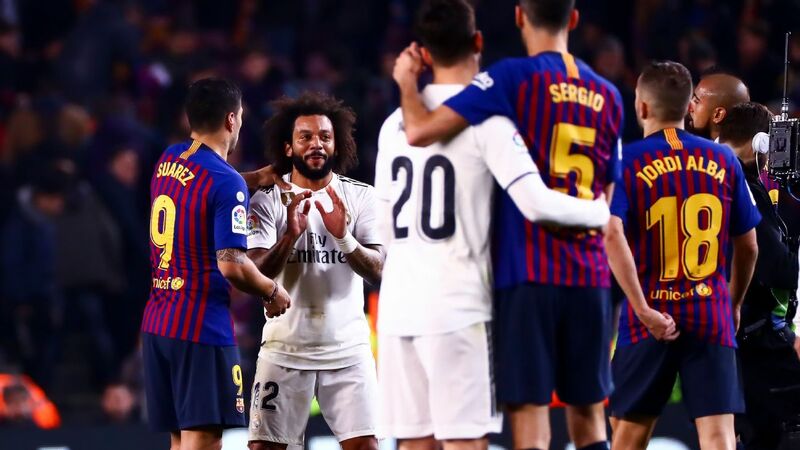 Not because of a deluge of chances, but because they came to the Camp Nou with a more jaunty step, with the horrors of last autumn's 5-1 Clasico defeat well behind them, and with far more of their main players in form. 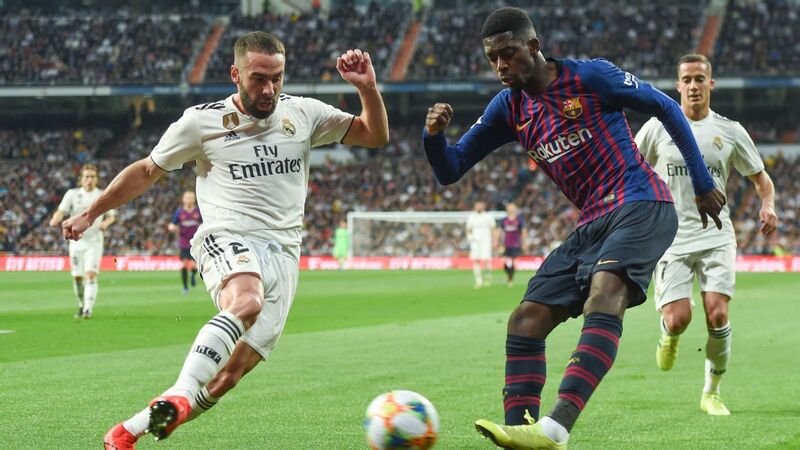 There were long stages in the first half when the false idea that home "advantage" in a Clasico was about to be ripped away from those dozy enough to believe in it. But Madrid let their claws, once in Barcelona's flesh, slip out again. And that was that. Long, long before Messi was introduced as a substitute for Philippe Coutinho, a guy whose stats say he's a Barcelona player but whose performances dictate otherwise, the holders reacted. 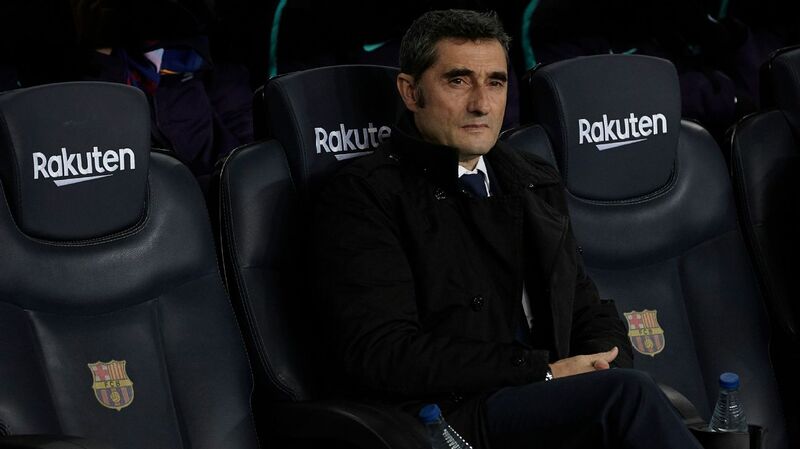 I'd like to tell you that Ernesto Valverde phones me to talk through his ideas but what I can promise you, faithfully, is that his top two priorities are winning La Liga and the Champions League. Not necessarily in that order. So while he'd be massively adverse to losing a Clasico at any stage, let alone a semifinal, this wasn't his main business. 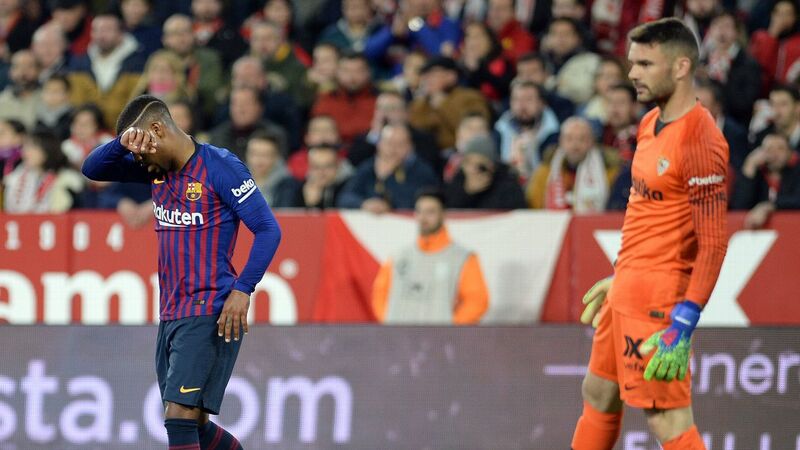 What happened, for my taste, in the second half is that Barcelona, for the third midweek in a row, found that the idea of losing makes them feel ill. They were hugely outclassed in Valencia against Levante, lost and won the second leg. They experimented in Sevilla, played without "oomph" and lost by two clear goals. When it came to the return legs, each time, no matter that every single player and staff member yearns for the Champions League.... not one of them could stomach the idea of losing. 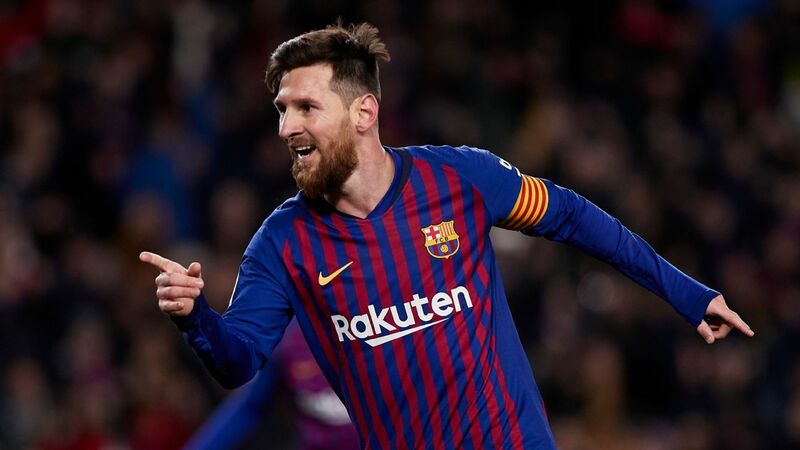 The subsequent "against-the-odds" wins versus Levante and Sevilla have left Barcelona a trifle decaffeinated. 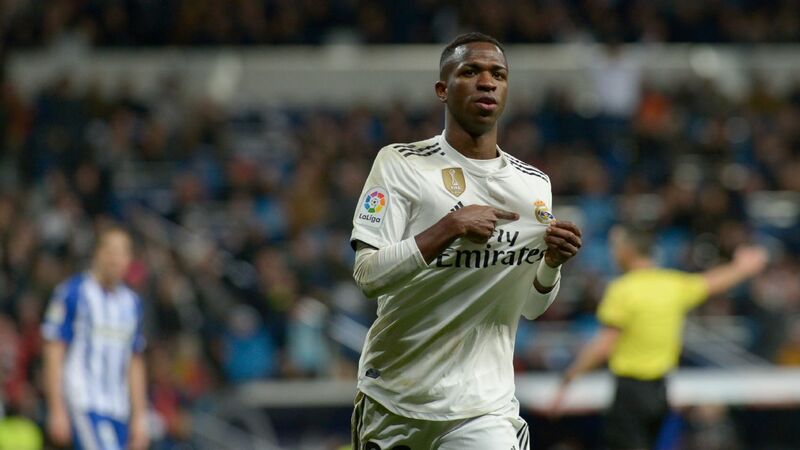 They used so much juice, so much internal aggression in winning the last two rounds of the Copa del Rey that both against Valencia in La Liga and Real Madrid on Wednesday, they've looked pallid. But, pallid or not, if you don't tuck this lot away then you'll suffer. 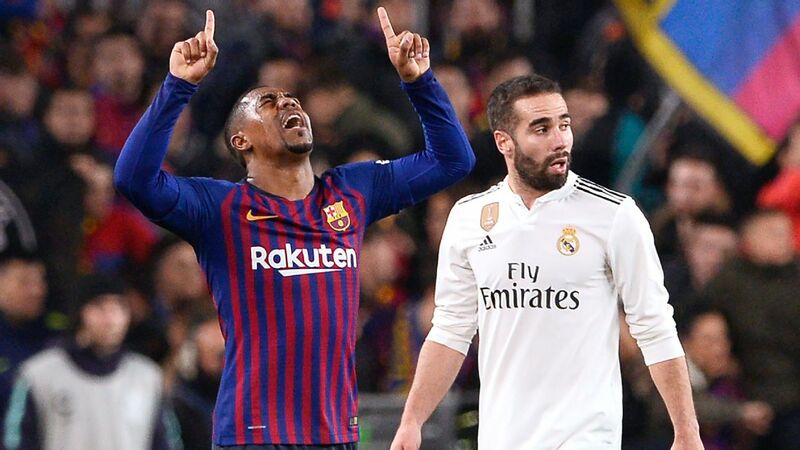 Malcom scored the equaliser, which not only gives Barcelona respectability but sets them up, in my opinion, for the final itself. Can they win, draw 2-2 or get through on penalties at the Bernabeu? Yes. 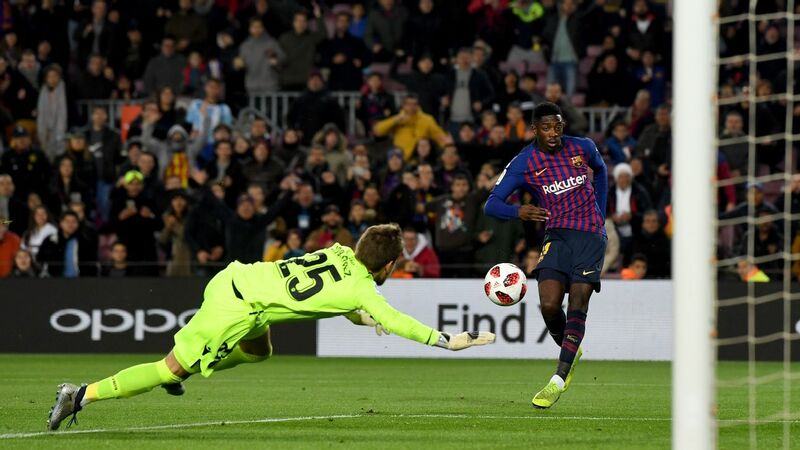 But, meantime, Ernesto Valverde, the unready Messi, the exhausted Luis Suarez, haven't simply "escaped" with a 1-1 draw at home -- they managed to establish a result which was just about precisely what their form of the last few days suggested they were able to produce. Messi half fit, Suarez running on empty, Coutinho paper thin in his usefulness, Samuel Umtiti still not back, their Copa keeper Jasper Cillessen out for six weeks and the squad with half a mind on tests to come. This was what golfers would call a "par" performance. No dropped shots. A platform to challenge on the final day, time left for some physio and some swing coaching, all in all it was not a terrible day at the office for Barcelona. Not a terrible day, not a winning day either. The holders remain in jeopardy, they aren't in prime form either mentally or physically right now and that is something that they either sort out or will suffer from. However, this is a platform for Valverde's team and an opportunity only partly used for Real Madrid. Long live the Copa del Rey. Just so long as it doesn't get in the way of these teams' real business. Yeah?